AllRefer.com > Pictures & Images > Aquatic biologist measuring adult Cherokee darter, a threatened species (Etheostoma scotti). Aquatic biologist measuring adult Cherokee darter, a threatened species (Etheostoma scotti). 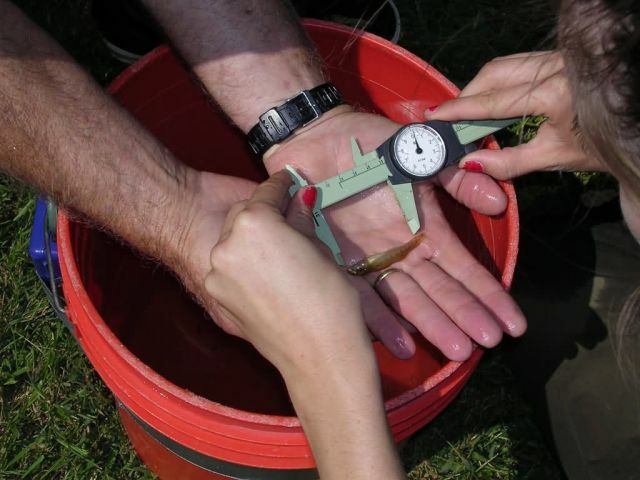 A researcher measures a threatened Cherokee darter (Etheostoma scotti) before releasing.